Amphitheatrically built on the foot of Rhodope mountain chain, the city is divided by the Kosynthos River, into the west part, where the old and the modern town are located, and the east part that boasts a rich natural environment. The "Old Town of Xanthi" is known throughout Greece for its distinctive architecture, combining many Byzantine Greek churches with neoclassical mansions of Greek merchants from the 18th and 19th centuries and Ottoman-era mosques. Other landmarks in Xanthi include the Archaeological Museum of Abdera and the Greek Folk Art Museum. There are two theories regarding the origin of its name: it was either named after a daughter of Oceanus and Tethys, or after Xanthi, one of the Amazons that ruled the region back then. Xanthi is sometimes identified with the ancient city of Xantheia mentioned in the 1st century BC by the geographer Strabo, but it was not mentioned by any other ancient historian. It began as a small village and experienced all the tumultuous periods of the history of Thrace, such as raids, disasters, ethnic conflicts, civil wars. The population of the region of Xanthi had dwindled down to almost nothing, as the region was depopulated in the 3rd century AD and almost everything had been destroyed when the Ottomans conquered the region in 1361. For this reason, the Ottomans brought settlers from within of Asia Minor, which is how Genisea (Γενισέα) was created, while Oraio (Ωραίο) and Xanthi remained mainly Greek and Christian centres. 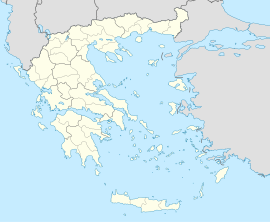 Known references to Xanthi (Ξάνθη), or Xanthia (Ξάνθεια), the city's origins are obscure; it was a prosperous stronghold of the Byzantine era but latter became a colony of the Ottomans known as Eskije. Xanthi is first recorded in 879 (Bishop Georgios of Xantheia is reported as taking part in the Fourth Council of Constantinople). the From 13th to 14th century it was the most important city of the region. Three monasteries date from the Middle Ages: Pammegiston, Taxiarchon, and Panagia Archangeliotisa, although written records indicate several others now lost. Xanthi featured in the campaign of Andronikos II Palaiologos in 1327. By 1715, Xanthi, as well as Genisea, became renowned for its tobacco quality. Many foreign sightseers traveled throughout the region and described both the life and struggles of the locals. The tobacco trade throughout Europe led Xanthi into a course of prosperity. George Demetriou was active in the Xanthi area during the Greek Revolution of 1821. In March and April 1829 two earthquakes leveled the city, however they played a decisive role in the further developments as the city's rebuilding immediately got underway. In 1870, the city of Genisea was burned down and thus all of the agencies and services were transferred to Xanthi which, at that time, had a population of about 10,000 inhabitants. In 1891, a rail line was established near the city, while further economic development led to the founding of schools and associations.. During the late period of Ottoman rule until 1912, the city was administratively located in the Sanjak of Gümülcine within the Adrianople Vilayet. During the First Balkan War, Xanthi was captured by the Bulgarian army from the Ottomans in 8 November 1912. In the Second Balkan War the Greek army captured it in July 1913. However, with the Treaty of Bucharest, Xanthi along with Western Thrace were ceded to Bulgaria (where it was also called Скеча Skecha), and remained a part of the latter until the end of World War I. Following the Bulgarian defeat in this war, Western Thrace came under Allied administration and on 4 October 1919 the Greek army under Georgios Leonardopoulos command entered the city. That date is today celebrated in Xanthi as the anniversary of its liberation. Second lieutenant Gavriel Ladas, who was from Xanthi, led the first Greek troops in the city. Ladas became the mayor of Xanthi from 1959 to 1964. On 8 April 1941 the 164th Infantry Division captured Xanthi following the German invasion of Greece and the Germans passed the city to Bulgaria, who occupied the whole region east of Strymonas, except a small German zone near the border with Turkey. The city became the administrative center of the Bulgarian province of Belomorie and served as headquarters for the Bulgarian Second Army. During the Bulgarian occupation, more than 2,000 men from Xanthi, both Christians and Muslims, were sent for forced labor in Bulgaria. On 4 March 1943 the Jews of Xanthi were arrested by the Bulgarians and imprisoned in a tobacco warehouse. On 18 and 19 March, they were deported to Nazi concentration camps in Poland. From a community of 550 people, only six Jews survived the Holocaust. The city was liberated following the 9 September coup d'etat in Bulgaria, when partisans of the Greek People's Liberation Army entered the city and took over control without a fight. However, the Bulgarian army remained in the region until the end of October 1944 and it withdrew under pressure from the Allies. Nowadays Xanthi is a modern city, rich in history, traditions and customs, and with many attractions for the visitors (including the surrounding areas). It is worth visiting the city during the Carnival (Greek: Καρναβάλι) (either February or March as dates change) and during the Old Town Festival (Γιορτές Παλιάς Πόλης" (beginning of September). Also, one should not miss the Xanthi Bazaar (Παζάρι) every Saturday. Xanthi is known as "the city of a thousand colours!, and like Komotini and Didymoteicho has a large population of Turkish-speaking Muslims dating to the Ottoman period. The Muslim population of East Macedonia and Thrace dates to the Ottoman period, and unlike the Turkish Muslims and Greek Muslims of Greek Macedonia and Epirus was exempted from the 1922–23 Greek-Turkish population exchange following the Treaty of Lausanne. In 1972 the Greek authorities planned to demolish the landmark of the city – the clock tower, built by the pomak Hadji Emin Aga in 1870. This decision resulted in protests by the local Muslims and the plans were cancelled. Traditonally, the tobacco business, commerce and farming has been the primary occupation of the residents of the area. During the last decades, tourism has also increased, especially during the period of the "festivals of the old town". Manos Hadjidakis (1925–1994): Major Greek composer. Winner of the Academy Award for Best Original Song for his song Never on Sunday from the film of the same name. ^ a b c "Visit Greece | Ξάνθη". visitgreece.gr. Retrieved 29 March 2016. ^ a b c Samsaris, D. C. (2005). Ιστορική γεωγραφία της Δυτικής Θράκης κατά τη ρωμαϊκή αρχαιότητα [Historical Geography of Western Thrace during the Roman Antiquity] (in Greek). Thessaloniki. p. 86–88. ^ Xanthi – History Archived 27 August 2007 at the Wayback Machine. euro travelling.net. Retrieved 2012-04-05. ^ Xánthi, at Encyclopaedia Britannica. ^ a b About Xanthi. ^ a b c History of Xanthi Archived 23 December 2015 at the Wayback Machine. ^ Νίκος Λιανός, αρχιτέκτων, Επ. Καθηγητής ΤΑΜ-∆ΠΘ. Μορφολογικά χαρακτηριστικά των κτηρίων της παλιάς πόλης της Ξάνθης. Ιστοσελίδα Δημοκρίτειου Πανεπιστήμιου Θράκης, σσ. 1. Ανακτήθηκε στις 2011-07-18. ^ Exarchou, Thomas P. (2002). Ξάνθη 1941–1944. Xanthi: Όμηροι Βουλγαρίας. ^ Featherstone, K.; et al. (2011). The Last Ottomans: The Muslim Minority of Greece 1940–1949. Springer. p. 190. ISBN 0230294650. ^ Mangalyakova, Tanya (2011). Нашите в Гърция. Sofia. p. 20. ^ Ξάνθη: Μία πόλη, χίλια χρώματα. Wikimedia Commons has media related to Xanthi.